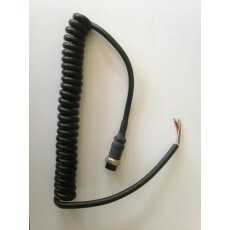 *New Curly Cord with 8 pin connector fitted to suit the Standard Version Qmac HF90 . Extended length is about 1.2 Metres. Quite easy to install if you are handy with a soldering iron.